'Indiana Jones 5' has been delayed again. The next movie in the action franchise - which will be directed by Steven Spielberg and stars Harrison Ford in the title role - was originally scheduled for release in July 2019 and later pushed back to July 2020 but it seems fans will now have to wait even longer for the film as more work has been done on the script. According to The Hollywood Reporter, Jonathan Kasdan - the son of 'Raiders of the Lost Ark' writer Lawrence Kasdan - has been brought on board to write a new draft of the movie. The script was originally written by David Koepp but he's no longer available to work on the projects because of his directorial commitments to 'You Should Have Left'. Disney have yet to give a new release date for the movie. It is not clear if a rewrite of the film will bring back Shia LaBeouf's 'Indiana Jones and the Kingdom of the Crystal Skull' - the 2008 fourth installment of the archaeological adventure franchise - character Mutt, as Koepp previously admitted the son of Indiana Jones didn't feature in his draft. 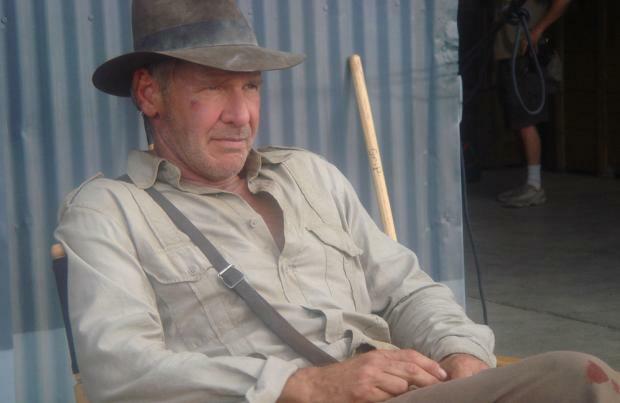 He said: "Harrison plays Indiana Jones, that I can certainly say. "And the Shia LaBeouf character is not in the film." The franchise, which started in 1981, follows the fictional archaeologist, who originally fought against the Nazis in their search for Biblical artefacts. However, in the 2008 movie, fans of the franchise were disappointment that the movie took a different angle and dealt with alien origins rather than Biblical stories. Koepp recently revealed he thought the last 'Indiana Jones' was not as successful as the previous movies in the franchise. He said: "It's hard because you can learn like if something maybe didn't work as well as you think it would well we certainly wouldn't do that again, but you wouldn't have done that again anyway, you already did it, so it's hard to say. "For me it was the MacGuffin dictates everything, and so we tried to make the best possible choice we could. "Not that nobody didn't try to make the best choice that they could in the past, but we tried to give us the one that gave us the Indiana Jones movie we most wanted to see."